The RiversEdge offers it all: a fully landscaped private rear yard, double garage, and spacious living in a spectacular riverside setting. A rancher is now for sale in this residential neighbourhood in Courtenay on Vancouver Island at $369,900, including net GST. This 1745 sq. ft. rancher for sale includes three bedrooms and two bathrooms, with a gas fired furnace, gas fireplace, and maple shaker kitchen with centre island. Located at #124 – 2205 Robert Lang Drive, this new home in Courtenay is built on one of the finest lots at RiversEdge (MLS #379478). This entire preplanned development from Southwind Development Corporation is surrounded by forest and green space. Every home at RiversEdge is single-storey, ensuring optimal privacy and home enjoyment. Residents enjoy an abundance of recreational opportunities in their backyard, including kilometres of walking trails along the Puntledge River. The show home is open every Saturday from 1-3 pm at 2205 Robert Lang Drive in Courtenay. Private tours are also available. In 2014, the Crown Isle Resort & Golf Community in Courtenay on Vancouver Island sold more homes and building lots than any other year in its 26 year history. It's no surprise, as this comprehensively planned 831 acre residential community with golf course lots and golf course homes for sale has much to offer residents. New homeowners in Crown Isle have access to many amenities right within the Crown Isle community. This includes a championship golf course and 48,000 sq. ft. resort centre with a lodge and a spa. Grocery and other shopping, the Comox Valley aquatic centre, and a variety of other services are all within walking distance. Many new stores and other infrastructure are also being added close to Crown Isle, such as the new Comox Valley hospital currently under construction two blocks away. 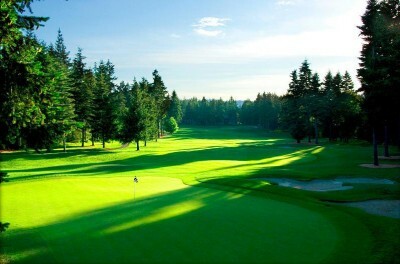 The Comox Valley airport, with daily flights to Calgary, Edmonton, and other Canadian and American destinations, is a short drive from this renowned golf course community. And of course, there are the glorious views of the Comox Glacier, and lush greenways year round. 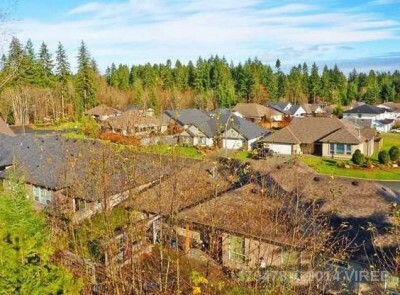 The Ridge on Vancouver Island is one of the city of Courtenay's newest residential neighbourhoods. 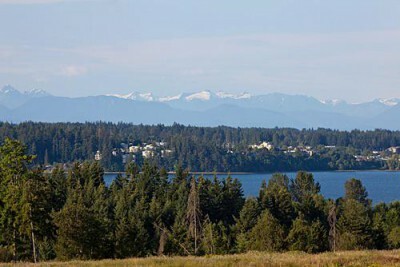 This 77-acre development with building lots for sale offers all the amenities and recreational opportunities that make Vancouver Island living so popular. This quiet neighbourhood is surrounded by ocean and mountain views in a spectacular natural setting with walking trails, parkland, and open spaces throughout the property. Shopping, health services, sports centres, and schools are all nearby, either by foot or a short drive. The Comox Airport offers direct daily flights to Vancouver and other major cities in Western Canada. Recreational opportunities abound in the Comox Valley, whether you are seeking active, outdoor pursuits or more leisurely activities. Hiking, biking, boating, and golf are all year-round pursuits, while gardening enthusiasts are kept busy no matter what time of year it is. The nearby ski mountain provides plenty of fun for anyone desiring more traditional winter activities. Your new home at the Gales offers the outdoor lifestyle you have been dreaming of all your life. 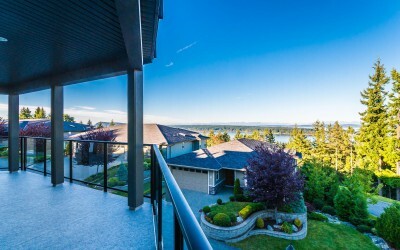 This 68 home residential development nestled between the sea and the mountains in Ladysmith on Vancouver Island offers easy access to some of the most popular outdoor activities Vancouver Island is known for. The luxury patio homes and condominiums at the Gales are located within minutes of three of Vancouver Island's best golf courses. Boaters and kayakers will find year round water access at the nearby marina, while those seeking a more adventurous back country experience will find the pristine forest right at their back door. At home you will find vaulted ceilings, spacious rooms, and impressive views through the large picture windows. Homes at The Gales are designed and built in West Coast contemporary architectural style, with top-quality finishing and amazing attention to detail. Wide sunny decks give you plenty of room for lounging outdoors.